Revolution Slider Error: Slider with alias Practice:HedgeFunds not found. Having launched over 70 funds in each of the last three years, Riveles Wahab has extensive experience helping fund managers navigate the legal and practical challenges of structuring and launching private pooled investment vehicles in the United States and abroad. The firm advises sponsors and their principals, investors, institutions, and other participants in connection with a range of hedge, private equity, venture capital, real estate, and incubator funds. We provide comprehensive guidance to managers through all stages of the fund formation process and on an ongoing basis. Through broad exposure to the industry, we maintain expertise in evolving market standards and provide cutting edge advice on the spectrum of legal issues facing the investment management community. We routinely work with offshore counsel – in jurisdictions including the Cayman Islands, British Virgin Islands and Bermuda – to structure vehicles that enable managers to attract offshore investors and tax-exempt U.S. investors. In connection with complex domestic and international complex tax and ERISA matters the firm is able to leverage its tax and ERISA counsel relationships to provide comprehensive support to clients. While private equity and hedge funds share many common characteristics, the illiquid nature of private equity investments necessitates core structural differences between the two types of funds. The firm represents an array of private equity strategies, including real estate, start-up, technology, oil and gas, renewable energy, distressed company, and debt financing, among others. The firm also assists funds in structuring portfolio acquisitions and counseling portfolio companies in connection with their ongoing corporate and intellectual property needs. Riveles Wahab’s immersion in the venture capital landscape allows the firm to provide comprehensive and dedicated counsel to venture capital funds and start-up company incubators. We represent funds focused on start-up technology companies in a broad range of niche industries, including robotics, 3D printing, mobile apps, digital marketing, health tech, and artificial intelligence. We are well-equipped to assist funds across these varied industries, and others, in their formation, structuring, and ongoing operations. Our attorneys also provide focused counsel to portfolio companies in all aspects of their capital raising efforts and on matters of corporate governance, commercial contract, employment, intellectual property, technology law and other related practices that are integral to the successful operation of any business. Offshore fund vehicles are suitable for hedge and private equity funds managers seeking to attract non-U.S. and/or tax-exempt U.S. investors. In conjunction with offshore counsel, RW has broad experience establishing offshore funds in numerous structural variations, including mini-master, master feeder, parallel, and segregated portfolio company structures. The firm has longstanding relationships with local counsel in the Cayman Islands, British Virgin Islands (BVI), Bermuda, and other offshore jurisdictions. We advise clients as to the most appropriate offshore fund domicile in consideration of fund-specific requirements and manager cost sensitivity. We have established countless open-end funds running the gamut of equity, options, forex, and futures strategies and closed-end funds focused on oil and gas lease investments, venture capital, real estate, asset backed lending, and other strategies. The firm consults with international tax counsel in structuring blocker entities and other complex offshore vehicles aimed at shielding offshore investors from “effectively connected income” and the reporting requirements associated with the Foreign Investment in Real Property Tax Act (FIRPTA). In order to avoid the costs of launching a full-fledged fund, managers seeking to build marketable track records using their own capital often choose the incubator hedge fund model. RW frequently counsels emerging managers employing a variety of investment strategies. We help managers form incubator funds in a cost-effective manner, structured so as to facilitate the transition to a full-fledged fund. 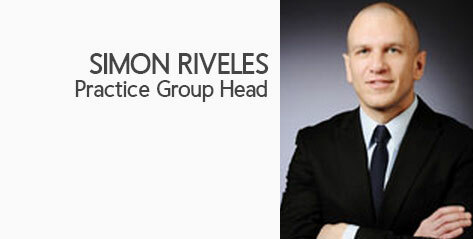 Riveles Wahab advises clients on the many legal and compliance issues facing registered investment advisers and their affiliates. We offer comprehensive legal services to investment advisors, with expertise in regulations under the Investment Advisers Act of 1940, state investment advisory laws and FINRA rules and regulations. Riveles Wahab regularly assists commodity pool operators and trading advisers in all aspects of their operations. When no exemptions are available, we register CPO and CTAs with the NFA, prepare comprehensive NFA disclosure documents and break-even analysis, and liaise with NFA personnel throughout the registration and approval process. Our attorneys also routinely assist in developing robust compliance programs that satisfy ongoing recordkeeping, training, business continuity, and disaster recovery requirements. Ongoing counsel as to quarterly and annual compliance, reporting, and disclosure requirements.